The end of the year is almost upon us and what a year it has been for car tech. The innovative technology that we saw in the last few years finally made its way into many of the cars that took to the road in 2017. And it wasn't just luxury cars that got some serious tech upgrades with many manufacturers opting to add safety features to their entry-level models. But what about next year? Can we expect more of the same? Will we see autonomous cars in 2018? In a word, no. Although the technology is there already, it has yet to get to a point where we can safely allow autonomous cars take complete control on the road. And while we may see more driverless cars in on-road testing, it's highly unlikely that we will see self-driving cars mass produced and sold to the general public for at least another few years. But that doesn't mean that the tech can't help us now. Safety features are continuously at the forefront of car tech development and 2018 promises much of the same. And there will be a few other tech upgrades to keep an eye out for too. 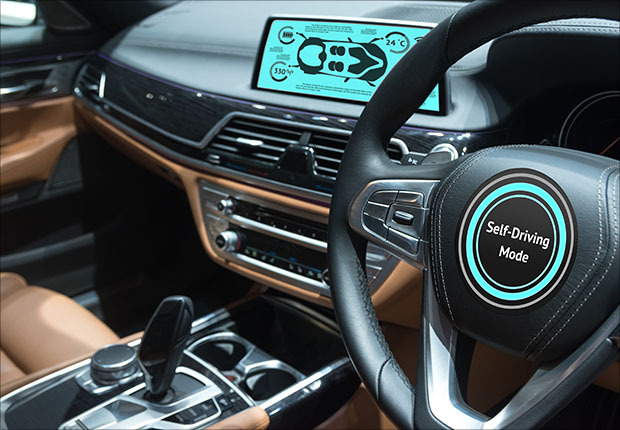 While we did say that we won't see fully autonomous cars for a while yet, manufacturers are set to make further use of the tech as a safety feature. Lexus and Volvo both have new onboard systems that allow the car to take control of the wheel in extreme circumstances. The Lexus Intuitive Pedestrian Detection with Active Steering system will hit the brakes and turn the wheel to avoid a collision if you get too close to a pedestrian. And all of this while remaining in the correct lane of traffic. Pretty impressive if you ask us. Volvo, always a manufacturer to push the boundaries of onboard safety tech, will have a system in place on the 2018 XC60 to allow for automatic steering in low-speed city driving. This system is to prevent collisions with other cars, pedestrians, and even animals on the road. They're also including the auto-steering feature on the car's Oncoming Lane Mitigation system which will work at highway speeds to keep the car in the correct lane and to avoid traffic that appears to be crossing into your lane. We’ve already seen something similar in a lot of cars in 2017 such as Toyota’s and Hyundai’s Lane Keeping Assist systems that keep the car in lane at high speeds by applying slight pressure to the steering wheel. The "Holden "Eye" technology goes a step further, including lane departure warning, lane keep assist, automatic emergency braking (AEB) and forward collision alert. Volvo’s system promises to go one better by taking complete control of the steering. While many cars now offer connectivity for smartphones, there have been plenty of issues with pairing through Bluetooth. Honda is looking to eliminate those issues with Near Field Communication technology. You know that chip in your smartphone that lets you pay for things by swiping your phone? Well, Honda has used that tech to immediately pair any phone with the car's infotainment system by swiping it over a sensor. Hopefully, other manufacturers follow suit because this looks like a seriously convenient feature. Unfortunately, the tech is only available for Android, but it shouldn't be too long before it's iOS compatible. Not content with helping us pair our smartphones with our cars in double-quick time, Honda is also introducing some great family-related tech in their popular Odyssey. The second-row seats now split for better access to the back row (and for keeping arch enemies apart) but it's the new CabinWatch system that really impresses. 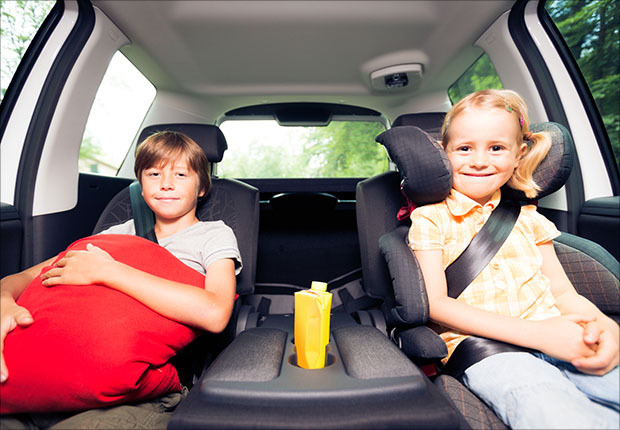 This system allows a parent to keep an eye on their kids via a camera and the dashboard video display. This means no more turning around to see what big brother has done to upset his sister so much. You even have an option to view rear-facing infant seats which is a nice touch. There's also a new CabinTalk feature in the new Odyssey which will work as an in-car PA system allowing the driver to speak through the speakers. A real blessing for parents of young children. Honda is leading the way here with family-friendly features, and we imagine that many manufacturers of family cars, in particular, will follow suit. No, that's not a typo. Health and wellness are hot topics right now, and while the car industry has taken note in the past (heated seats, tiredness alerts), 2018 sees Mercedes taking it to a whole new level. Their new Energizing Comfort function creates the optimum driving conditions for the driver. It adjusts the climate control, heats or cools the seats, massages, sets the ambient lighting, chooses the right music, and even pumps out a nice scent. You can choose from six different programs all of which are supposed to energize the driver in various ways. While it's a feature for the luxury car market, we reckon that this tech could prove to be a huge advantage for long-haul drivers. Perhaps we'll see it in trucks and vans soon enough. If 2017 was a good year to buy a car, then 2018 will be even better. As the car industry takes such huge strides in terms of tech, it's only a matter of time before we see the latest tech features coming as standard on all models regardless of price. And if 2017 taught us anything about car tech, it's that manufacturers do not want to be left behind when it comes to innovative technology. Is 2018 the year that you decide to upgrade to a high-tech car? If so, then we just happen to know someone that can help you sort out your finance. Whether it's a family-friendly Honda Odyssey or a Luxury massage-giving Benz, give us a call on 1300 STRATTON (1300 787 288), and we'll help you finance your new high-tech car with a minimum of fuss.